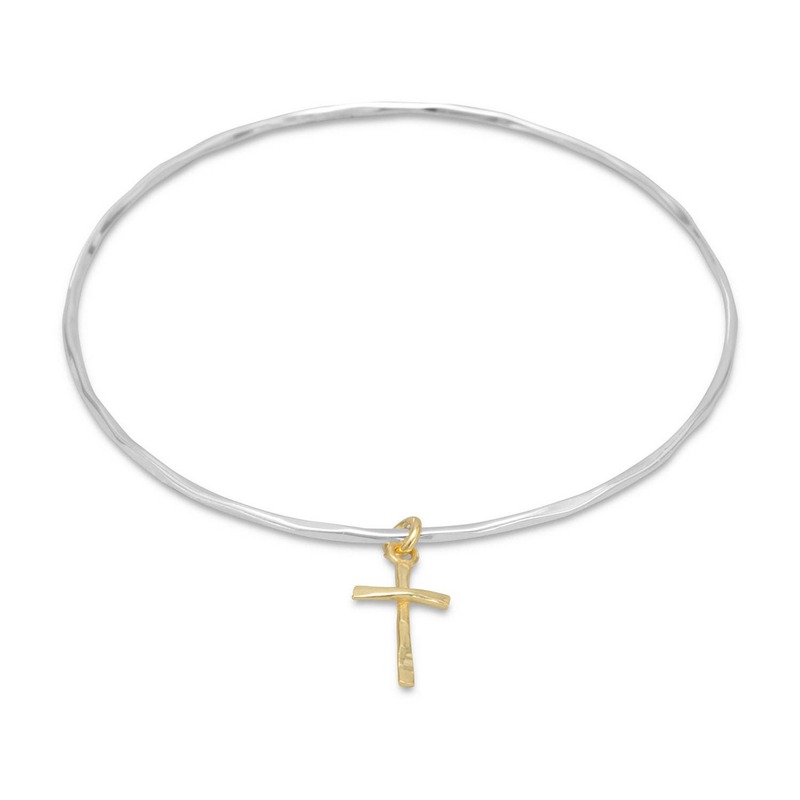 Textured sterling silver bangle bracelet with 14 karat gold plated sterling silver cross charm. The bracelet is 1.5mm and the charm is 8mm x 14.5mm. The bracelet diameter is 65mm.